When's the last time you consciously carved out time and space for yourself in nature? 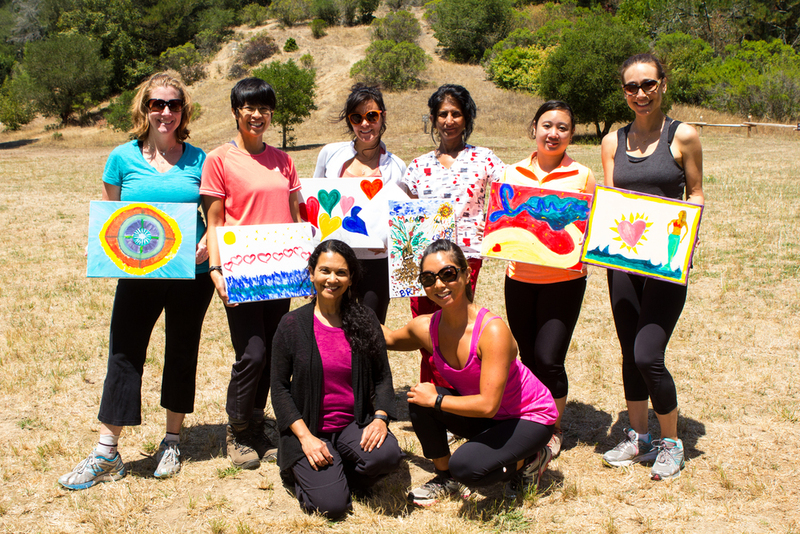 Partnering with fellow registered dietitian and yoga teacher Praveena Kumar, we've designed half-day retreats in beautiful locations around the Bay Area to nourish and revitalize you. We believe that true health stems not only from plant-based nutrition, but also thrives in the presence of authentic community. Through creativity, movement and mindfulness, these retreats will recharge and rejuvenate you. Like a massage for the soul. Come join us in nature, or attend one of our plant-based dinners or picnics to fill your belly and heart with delicious food and delightful conversation. REVITALIZE DINNER Summer Edition is SOLD OUT! We are currently sold out for this event on 8/25, but stay tuned for future events! Below are pictures from our last 5-course REVITALIZE Dinner Spring Edition! Oyster Mushroom Ceviche: A play on classic seafood ceviche with oyster mushrooms, cucumber, avocado, and pink grapefruit. Honeydew Melon Gazpacho Shooters: A cool and refreshing riff on the Spanish staple with honeydew melon, cucumber, mint and a scallion relish. Chermoula roasted eggplant stuffed with bulgar served with seasoned potatoes, snow pea and asparagus poriyal, and drizzled with cashew cream. Pistachio, Orange Blossom, and Avocado Raw Tarts: Creamy avocado infused with orange blossom water and lime on a pistachio and date crust. Personalized gifts bags filled with Numi Tea, Square Organics bars, homemade aquafaba cookies, and a seasonal produce list. 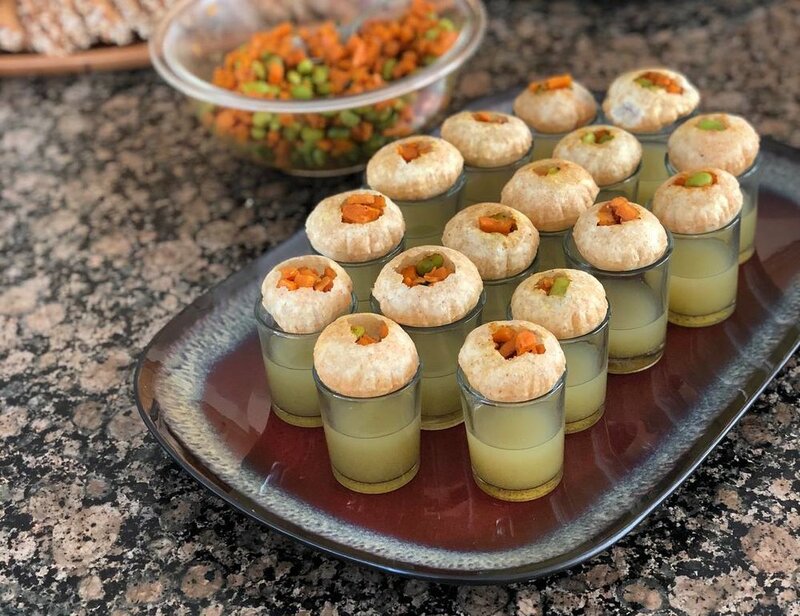 Pani puri shots! Chef Kumar put a creative twist on this by combining Indian and Japanese flavors. Each puri was filled with edamame, shiitake mushrooms and sweet potatoes, which is enjoyed with a shot of green mango juice, ponzu, yuzu, ginger, rice wine vinegar and masala. Beet and quinoa tikki topped with chana masala, cashew cream and cilantro. Spring pea and carrot salad with radish, roasted asparagus and meyer lemon confit. Spring pea/basil pesto on sunflower seed bread, served alongside the soup. Cream of cauliflower ginger soup with spring pea pesto and topped with a beet chip. Chickpea crepes filled with mung beans/roasted asparagus served with cilantro coconut sauce and drizzled with a tomato puree. Chef Kumar adding the finishing touches to the chickpea crepes. Strawberry basil sorbet topped with sweet cacao nibs. Always the highlight of the evening...passing out everyone's personalized gift bag, filled with homemade goodies from the night. Each guest also took home a potted herb plant, celebrating spring! 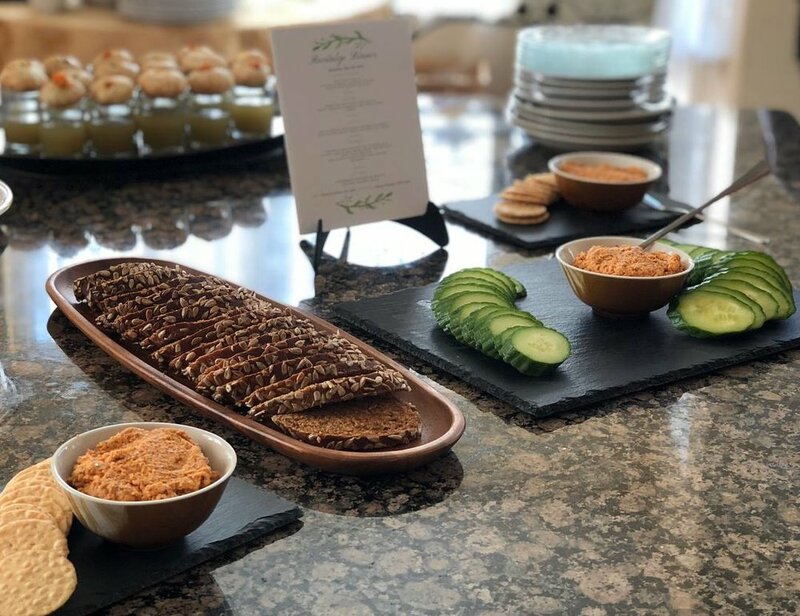 What began as a simple idea to introduce others to the eclectic flavor combinations and versatility within plant-based eating has now become such a delightful way to express our creativity, cultivate community, and celebrate delicious food. Our hearts are so full of gratitude! Most people think of lonely salad leaves when they hear the word 'vegan.' Knowing this, it was our goal to creatively highlight the best of summer produce and allow our guests to experience the versatility and flavors of a fully plant-based menu. Watermelon gazpacho shooters- a cool, sweet and tangy appetizer made with watermelon, tomatoes and cucumber topped with a scallion relish. Trumpet mushroom 'scallop' crostini with spicy green apple chutney. Heirloom tomatoes, 'mozzarella' (made with cashew), radishes, kalamata olives with homemade croutons and basil dressing on a bed of arugula. Fresh sweet, organic corn in a creamy coconut and cashew broth with carrots, celery and zucchini. Quinoa and adzuki bean chard rolls with cauliflower/carrot puree, drizzled with roasted red pepper sauce and served with a hasselback potato. Mixed berry pavlova, made with aquafaba instead of egg whites! Watermelon, strawberry and lime granita, our final palate cleanser. Celebrating another amazing night where we could share our passion for plant-based nutrition with others. Personalized gift bags filled with homemade goodies, assorted tea, plant-based tips and recipes, and KIND bars. Huge thanks to KIND Snacks for sponsoring our event! This is always our favorite part of the evening. Passing out the gift bags and watching the delighted expression on each person's face brings us so much joy. Roasted beet, orange and avocado salad with leek and meyer lemon confit. The crew from our past February retreat. Discussing how to apply a 'gameful mindset' from Jane McGonigal's book "SuperBetter" and designing individual game challenges for our own lives. Plant-based lunch to refuel after yoga. Personalized gift bags from our February retreat. The array of ayurvedic spices that our retreat participants brought home after our "Spice of Life" retreat. Praveena showing Tony up close and personal how to prepare and use ayurvedic spices in our "Spice of Life" retreat. The master chef with his finished product! Our appetizer at the "Spice of Life" cooking retreat- Aloo Tikki Chole. Sweet potato quinoa patties topped with spiced chickpeas, tamarind paste, a few dollops of raw cashew cream, and sprinkled with cilantro. Making cashew cream to drizzle on top of the appetizer. 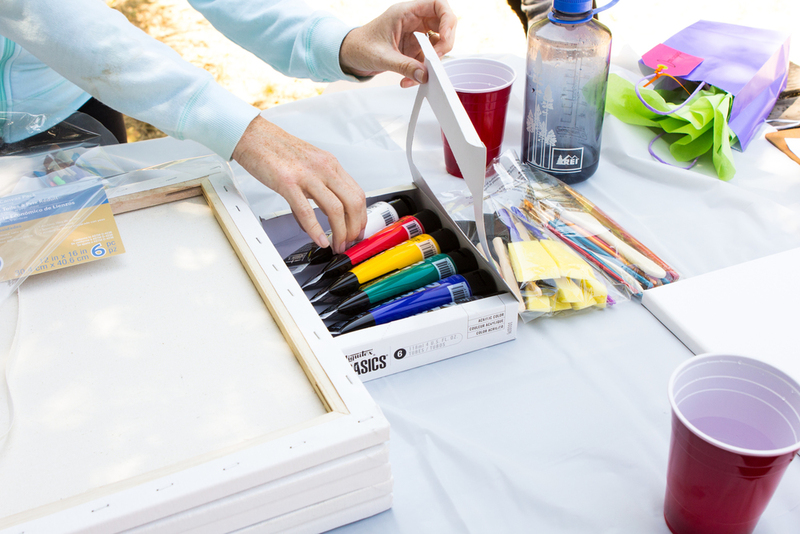 Goody bags, the delicious and colorful lunch we shared, and gratitude jars we made from our first retreat at Point Pinole.